The IMC team is delighted to highlight the few elements of the communication plan hoping to receive maximum support from the entire Coca-Cola team. This plan contains many aspects that will ensure that its implementation is done successfully. The project's goals will act as the benchmark for which all the activities shall be based. In other words, the team will work tirelessly to achieve the core communicative objectives set in this communication plan. The communicative objectives include increasing the brand awareness, influence consumers' attitudes towards the products, increase consumers' purchase intent, and drive or stimulate brand switching. The plan has the communicative strategy in which the main approach would be the use of several media to deliver the desired messages. The IMC will rely on the USP creative design style to create all the ads and related communications because the approach will enhance the image of the company's products. The communications will be ethically-compliant because the company values its customers. Every company understands the significance of marketing plans in ensuring successful marketing endeavor. We know that if we do not plan, then we shall be planning to be unsuccessful in our marketing efforts. At Coca-Cola, we take marketing plans seriously by ensuring competitive implementation of every aspect of each project. The integrated marketing communication (IMC) department always works around the clock to enhance the attainment of the company's corporate desires. This marketing (communication) plan outlines the core aspects of the plan that shall ensure its achievement of its objectives. The Coca-Cola Company is the greatest multinational beverage corporation in the world. The company specializes in the production, marketing, and distribution of ready to drink beverage products such as Coca-Cola and Sprite and various brands of mineral water and fruit juice (The Coca-Cola Company 2016). The company has a distribution network that spans all over the globe. The company's marketing strategy is to promote responsible marketing (Journey Staff 2016). Responsible marketing includes initiatives that would promote environmental conservation such as encouraging the use of glass bottles. The other marketing strategies embraced by our company include the 'One Brand' strategy that is designed to market the company's Coca-Cola beverage under one trademark (Moye 2016). Nevertheless, our overarching marketing objective is to make the Coca-Cola companies are not only popular but also the consumers' only choice. The company appreciates the fact that its products are facing cut-throat competition from the rival companies such as Pepsi Cola. Our marketing or advertising is meant to deliver the most persuasive stories about our products. The company's marketing strategies target people of all walks of life because our products address the needs of several segments of the community. The corporation has several brands that satsfy the unique or individual needs of various groups of consumers. However, most of our marketing operations are focused on children and the youthful members of the community. This is because it is the youth consume more soft drinks and water than any other age group (Kit et al. 2013). The company defines the term 'youths' to include all the energetic adults and most of those in working class. As such, the youths are those whose age falls somewhere between 18 years and 60-65 years. This is because it is the working class that has enough money to spend on beverage products that we produce and sell. The IMC has set out some communicative goals that it believes will enhance the company's competitiveness. The communicative goals include increasing the brand awareness, influence consumers' attitudes towards the products, increase consumers' purchase intent, and drive or stimulate brand switching. The IMC team wants the customers and everyone to appreciate and recognize the Coca-Cola company brand and the brands of products registered under its name. Research has shown that brand awareness increases or enhances brand equity and overall competitive of the brand (Huang & Sarig'll' 2014). Our desire is to attain a scenario where everyone knows what our brands are and the benefits of consuming our products. The company's business will benefit more from enhanced brand awareness because consumers will buy products that they are aware off. In other words, consumer decision-making is primarily affected by his or her knowledge about the brand. In this regard, the popularly of the Coca-Cola-owned beverage brand will influence the demand for our products in a positive way. The IMC team will endeavor to change the consumers' attitudes towards our products. The company's management appreciates the relationship between consumer attitudes and product demand. Consumer attitudes towards particular brands have a significant effect on the company's brand equity (Batra et al. 2014; Forbes et al. 2009). 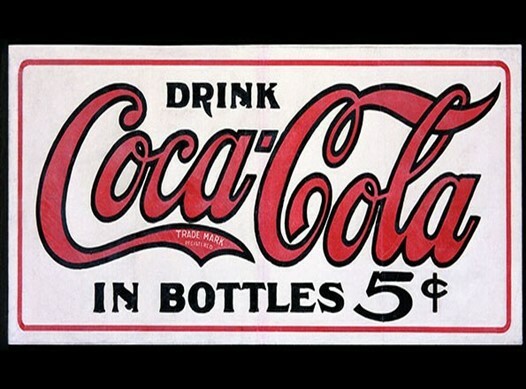 At Coca-Cola, we accept the fact that the customers' loyalty to our products depends on their attitudes towards them. Thus, the IMC team aims to the available marketing communication tools to ensure that consumers have a favorable attitude towards the company's products. The IMC team will make sure that the adverts and other marketing communications have increased consumers' purchase intent. Purchase intent is the core aspect of the demand process. Users with a higher purchase intent have a higher chance of buying a company's products. A purchase intention is governed by a strong desire and love towards particular products. Our strategy at IMC is to ensure that consumers appreciate that they have needs that the company's products will address. For instance, the customers will enjoy the cold Coke because it would be the best solution for thirst while cold Fanta will make children happy. As such, the objective of the IMC team would be to influence the consumer's intention to consume the company's products. The IMC team intends to boost brand-switching through its meticulous marketing strategies. 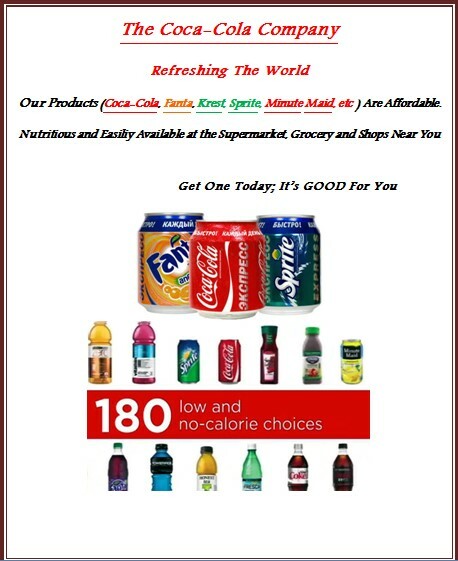 The IMC plans to ensure that the customers from the competitors' brands have switched to Coca-Cola's products. The communications will make sure that the Coca-Cola's products earn a better reputation at the expense of the rivals'. The USP would be one of the ideal creative design styles that the IMC will use in generating the adverts. The USP refers to the IMC's ability to develop a strong sense of identity and unique value that it will bring to the consumers (Capsey 2010). IMC has to ensure that the company's products are perceived as the best compared to those of the competitors. The USP creative style will enable us to deliver our objectives more efficiently. First, the approach will enhance the customer brand awareness in the context of the current market dynamics. The USP style will enable the IMC team to portray the products as the best in the market. As a consequence, the IMC will ensure that clients know more about the company's brands. Secondly, the USP will enable us to influence the consumers' attitudes towards the product. The IMC would market the company's products as the best and the only remedy to the consumers' problems. The adverts will ensure that the users have developed the idea that they cannot survive without say Fanta, Coca-Cola-branded mineral water or Fanta. Thirdly, the USP creative style will also increase consumers' purchase intent. The IMC department will create the illusion that the customers need mineral water or soft drinks and that Coca-Cola is the best deal in the market. Thus, our ads will urge the consumers to go out and buy the company's products. Lastly, the company's commercials will stimulate brand-switching by making the customers develop a feeling that the business's products are better than those manufactured and distributed by the rival companies. The ads will emphasize the values that the consumers would get if they buy our products. The USP style will facilitate ethical advertising because the IMC team understands its significance. Even though advertising is perceived as a paid non-personal communication intended to boost the demand for a product, scholars such as Hemalatha (2013) recommend that ads should be handled ethically. The USP creative style will respect consumers' rights and freedoms to choose because freedom is a fundamental human right. The IMC will also adhere to the truth because truth is an ethical endeavor. The IMC will create messages that will reach the desired or target audiences and have an immense effect on their buyer intentions. The team will endeavor to create highly persuasive messages. IMC understands that the messages produced shall be personal. However, the IMC team appreciates the fact that those messages would be intended to influence public attitudes and opinions in favor of the company's products. The messages will be easy to remember so that that they would lead to some long-term or short-term action, See the Appendix for an example of an ad. The IMC team shall follow a strict media plan and strategy to ensure successful delivery of the intended messages. The plan or strategy should also enhance the impact of those messages. However, the IMC team will exploit the power of the social media to reach out to the youth and other constituents in the community. Social media is a powerful marketing tool because many people have Internet connections. The use of viral marketing is commonly used to market their products (Kaplan & Haenlein 2011). We will create viral videos about our products and let the people share across the social network especially through Twitter and Facebook. Social media marketing will help us save money because it is cheap. The OMC team will also explore alternative/outside communication strategies such as the use of billboards and posters. Advertisements make it easy for people to see the ads on the road, while stuck in traffic jam or from their homes since they are big enough hence visible to everyone. The billboards and posters will be situated in strategic places such as market centers, towns and cities, road intersections, and in crowded neighborhoods. The goal of the entire strategy would be to keep on reminding consumers about Coca-Cola and its products. Billboards and posters will reliable in poor neighborhoods or slums because many residents of this areas do not have access to the internet and TV. The overarching objective of the entire marketing strategy would be to boost efficiency in the communication process. The team will try to ensure that the marketing process is done cheaply and more efficiently. The team requires a substantial annual budget to facilitate the attainment of its objectives. The budget will not include salaries for the IMC team because they are on the company's pay slip. Nevertheless, the IMC team will need to pay salaries and wages for other contractors hired by the team around the globe. The table below summarizes the IMC budget subject to approval. The IMC team will use several tactics to measure the effectiveness of this scheme during the implementation phase. The IMC team will use several measures to evaluate the success of the plan. The first of that measure will be the efficiency measure. An efficiency measure refers to the measurement of the productivity about the cost efficiency. The tool will be used to gauge the ratio between the cost of the work and the quality of the results or the outcome per se. For example, the team will assess the relationship between the money spent the growth or decline in sales. The team will also use quality measures to evaluate the successful implementation of the project at hand. This tool is often used to gauge or measure the reliability, accuracy, competence, compliance, and responsiveness of the team and its individual members. We appreciate the fact that the success of the team's activities shall depend on how efficient the members shall operate in their daily work. Thus, the quality measure will be used to evaluate every individual work as a contribution to the success of the whole project. The team will also use outcome measures to assess the effectiveness of the plan. In this case, the team will measure the success of the plan by comparing the result to the goals set in the plan a successful implementation of the scheme will be determined by a higher attainment of the goals established in the plan and vice versa. For example, an increase in the sales will be a positive indication of the success of the plan because it is in tandem with the plan's objectives. This plan is a product of the IMC team understands the positive relationship between planning and success or failure. This program contains many aspects that will ensure that its implementation is done successfully. The project's goals will act as the benchmark through which all the activities shall be reflected on. In other words, the team will work tirelessly to achieve the core communicative objectives set in this communication plan. The communicative objectives include increasing the brand awareness, influence consumers' attitudes towards the products, increase consumers' purchase intent, and drive or stimulate brand switching. The plan also has the communicative strategy in which the primary approach would be the use of several media to deliver the desired messages. The IMC will exploit the USP (unique selling point) creative design style because the approach will enhance the image of the company's products. The communications will be done in an ethical because the company values its customers. Batra, R., Ramaswamy, V., Alden, D. L., Steenkamp, J. B. E., & Ramachander, S., 2014. Effects of brand local and non-local origin on consumer attitudes in developing countries. Journal of Consumer Psychology, vol. 9, pp. 83-95. Capsey, M. , 2010. What is our unique selling point?. Journal of Paramedic Practice, vol. 2, no. 6, pp. 242-244. Forbes, S. L., Cohen, D. A., Cullen, R., Wratten, S. D., & Fountain, J., 2009. Consumer attitudes regarding environmentally sustainable wine: an exploratory study of the New Zealand marketplace. Journal of Cleaner Production, vol. 17, no. 13, pp. 1195-1199. Hemalatha, B., 2013. Ethics in advertising. ACADEMICIA: An International Multidisciplinary Research Journal, vol. 3, no. 10, pp. 228-234. Huang, R. & Sarig'll', E., 2014. How brand awareness relates to market outcome, brand equity, and the marketing mix. In Fashion Branding and Consumer Behaviors (pp. 113-132). New York: Springer New York. Journey Staff, 2016. Responsible marketing. [Online]. Available at: /www.coca-cola.co.uk/about-us/responsible-marketing> [Accessed 5 September 2016]. Kit, B. K., Fakhouri, T. H., Park, S., Nielsen, S. J., & Ogden, C. L., 2013. Trends in sugar-sweetened beverage consumption among youth and adults in the United States: 1999'2010. The American Journal of Clinical Nutrition, vol. 98, no. 1, pp. 180-188. Lam, S. K., Ahearne, M., Hu, Y., & Schillewaert, N., 2010. Resistance to brand switching when a radically new brand is introduced: A social identity theory perspective. Journal of Marketing, vol. 74(6), pp. 128-146. Moye, J., 2016. 'One brand' strategy, new global campaign unite Coca-Cola trademark. [Online] Available at: /www.coca-colacompany.com/stories/taste-the-feeling-launch> [Accessed 5 August 2016]. Kaplan, A. M., & Haenlein, M., 2011. Two hearts in three-quarter time: How to waltz the social media/viral marketing dance. Business Horizons, vol. 54, no. 3, pp. 253-263. The Coca-Cola Company, 2016. Our Company. [Online] Available at: < http://www.coca-colacompany.com/our-company> [Accessed 5 September 2016].